Mildew and mold, which are classified as fungi, are simple microscopic organisms that can thrive anywhere in a warm, moist environment. 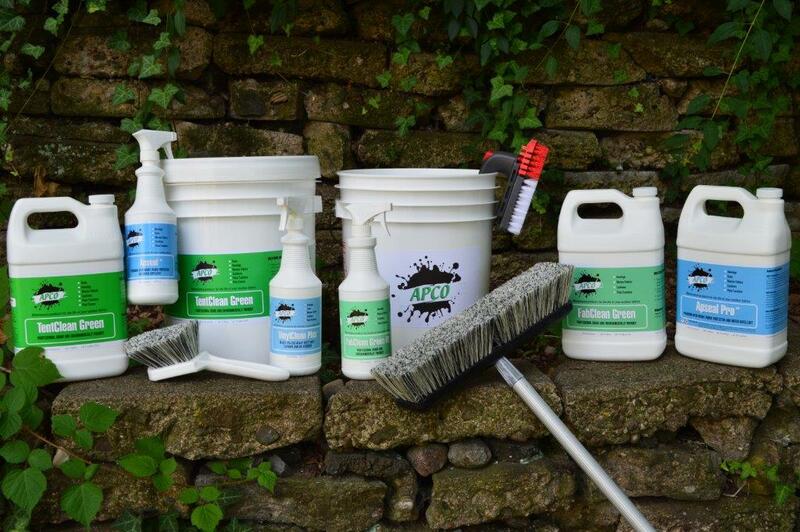 Mildew refers to a surface fungi, usually appearing as powdery, patches of grey or white. Mold looks fuzzy or slimy, and comes in various colors. Once it appears on your outdoor fabrics, it must be removed or it can cause fabric decomposition and an unhealthy condition. It’s also unsightly! Soil provides the food for this unwanted growth. That’s why we recommend regular fabric cleaning, and storing of items in a dry, well-ventilated area. Lichens are organisms consisting of fungus and green algae, growing together in a symbiotic relationship. When organic particles such as pollen settle onto the surface of trees or rocks, for example, under the right conditions they can grow into green algae. Add air- or water-borne fungus microorganisms such as mold, and you have a recipe for lichens. 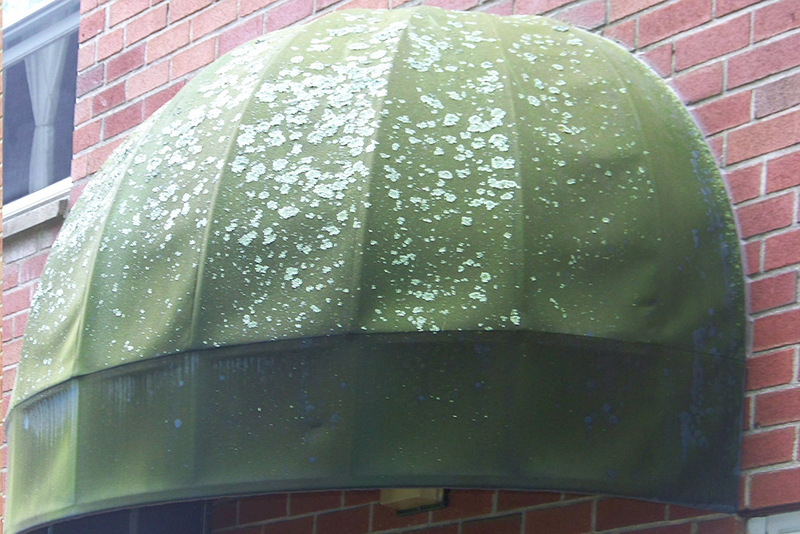 Lichens can grow on outdoor fabrics too, as it appears on these awnings, if not regularly maintained. Extra care must be taken to clean items covered with lichen, but we are equal to the task!